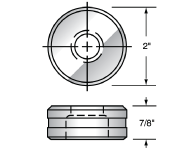 American Punch specializes in tooling for your machine. And because we specialize, we can offer the highest quality in the industry at the lowest cost. 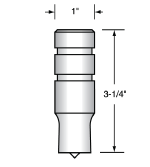 Plus, we keep a large inventory on hand in our Cleveland, Ohio, factory, so stock punches and dies in more than a dozen standard sizes ship the day we receive your order. Non-stock ironworker tooling usually ships within one to two days. 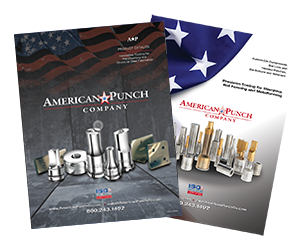 Fabricators who value quality and cost effectiveness rely on American Punch’s in-house expertise and dedication to customer service to deliver the ironworker tooling they need on time and on budget. Select an option below to request a quote for the punches, dies and tooling you need for your Metal Pro ironworker. Or contact us today by submitting this online form or by calling 800.243.1492 to speak to a knowledgeable sales person.